If you’re planning a winter getaway to Hawaii, you’ll be thrilled to know you’re coming during the heart of Hawaii whale season! Every year, between November and May, about 12,000 humpback whales migrate to Hawaii to give birth to and nurse their offspring every year. 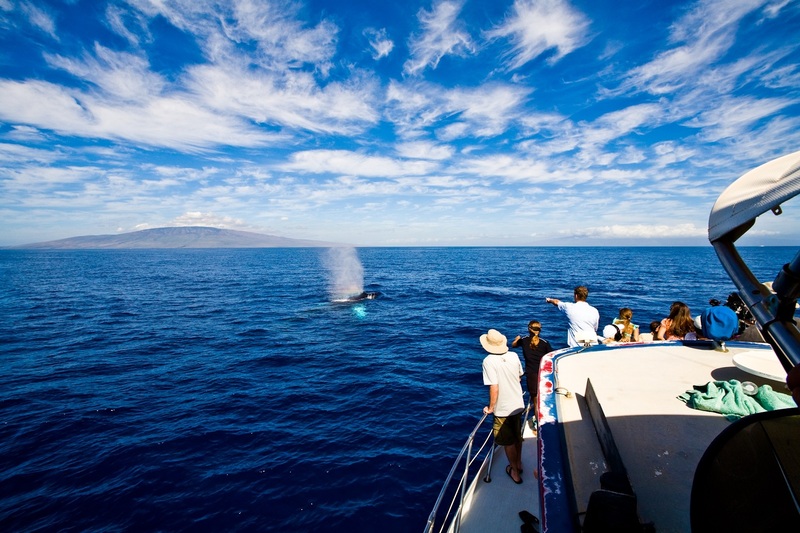 While you’re here, you may get lucky enough to see some of these majestic creatures from land (especially off the coast of Maui), but your best chance at seeing a pod up-close is to book a whale watching tour on Maui through Hawaii Aloha Travel. Blow or Spout: Adult humpback whales surface every 7 to 15 minutes to breathe, but can stay submerged for up to 45 minutes. Calves must rise to the surface every three to five minutes. The blow or spout is when a whale brings its head above water to breathe. Head Rise or Spy Hop: Look for a head rising out of the water. Some believe the whale might be checking out what’s going on up top. They might be as curious as you are. Tail Slap: Put your camera on video and hit “record” when you see a whale raise its tail fluke out of the water. Then get ready for several slaps. Pectoral Slap: Humpbacks slap the water with one or two pectoral fins. Some believe this is a communication signal to other whales. Head Lunge: If you see a whale lunge forward with their head raised up above the water, it’s a competitive display of strength. Peduncle Slap: This is a sight to see. Whales throw their peduncle (the part connecting their tail and body) up above the water and bring it down with a mighty slap. Fluke Up Dive: Like a snorkeler getting ready to dive down, the tail rises up in an upward arch and then slowly rolls underwater to head for the depths. Breach: With a burst of strength, the whale uses its tail to launch itself out of the water and then lands back onto the surface with a spectacular splash. 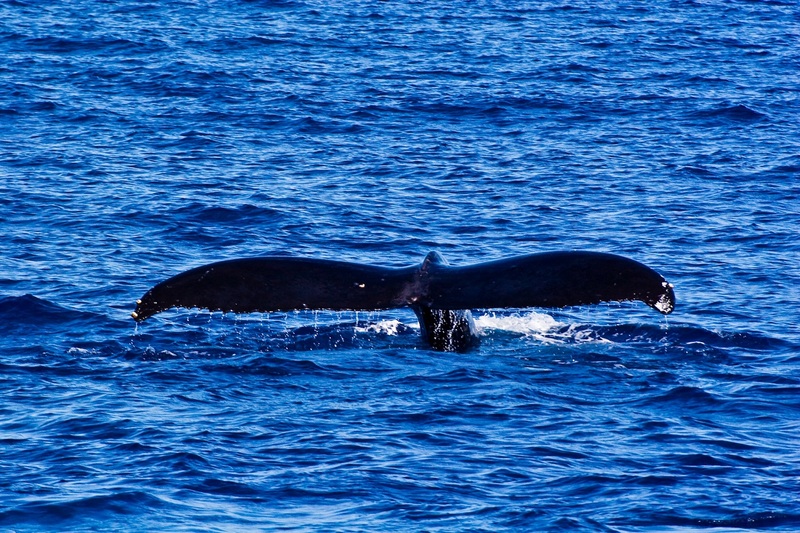 The estimated pre-whaling population of humpbacks in Hawaiian waters was 15,000 to 20,000. Thanks to strong legislation and the efforts of dedicated organizations such as the Hawaiian Islands Humpback Whale National Marine Sanctuary, these gentle giants are making a come back with an estimated 12,000 whales migrating to Hawaii every year. Seeing a humpback whale in the wild is a once-in-a-lifetime moment. So, know your whale facts and be prepared to be awed!